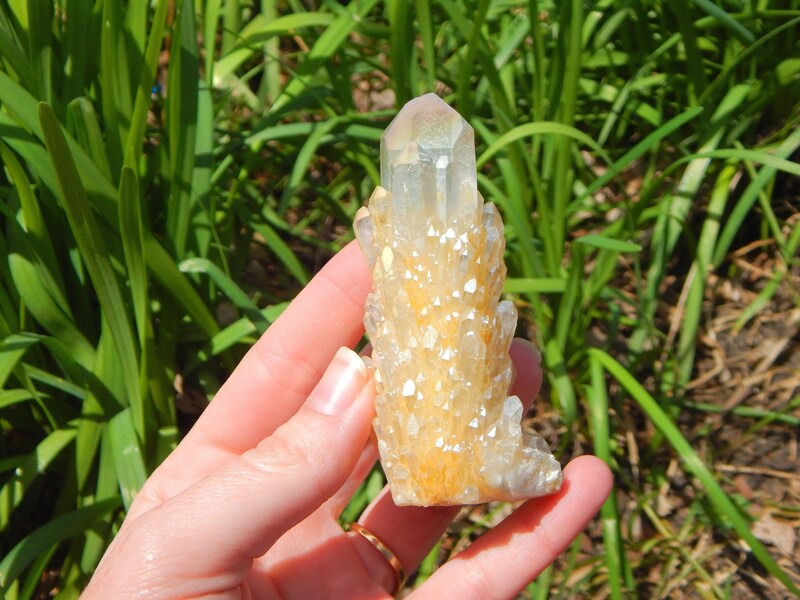 A truly beautiful Cathedral Quartz from Madagascar with Yellow 'Sunshine' Aura treatment. It has a lovely sunny yellow, pearly coloration. 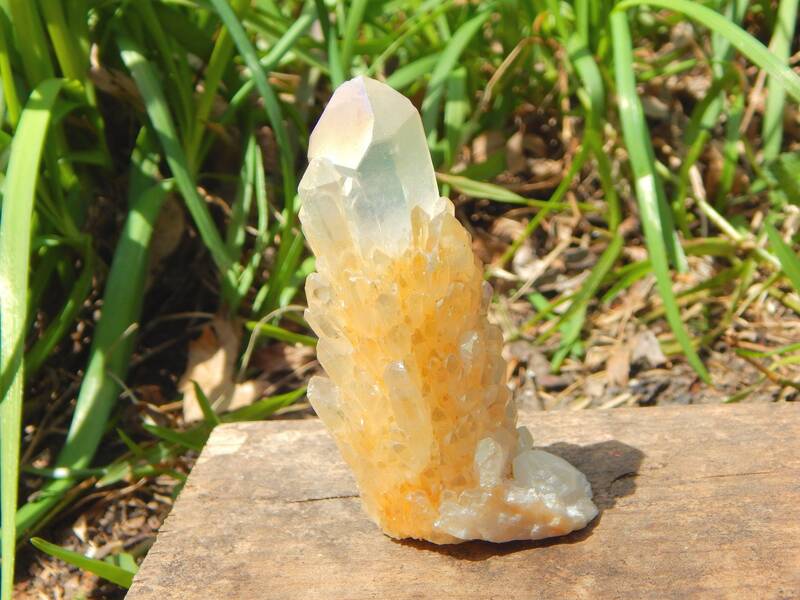 This formation is also called Spirit Quartz, 'Cactus Quartz' or Abundance crystal. This specimen measures 3.5 inches long and weighs 137 grams and is self standing. 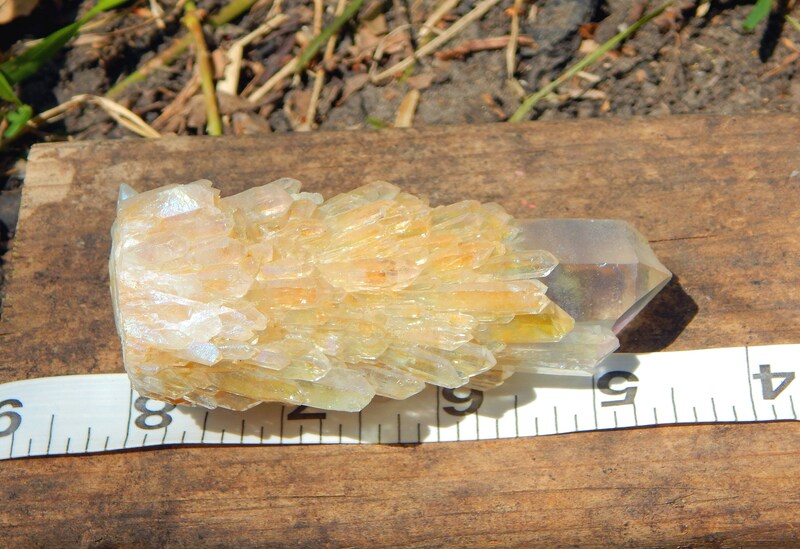 Sunshine Aura is clear Quartz bonded with Gold and Platinum; creates a bright yellow crystal with an iridescent gleam. 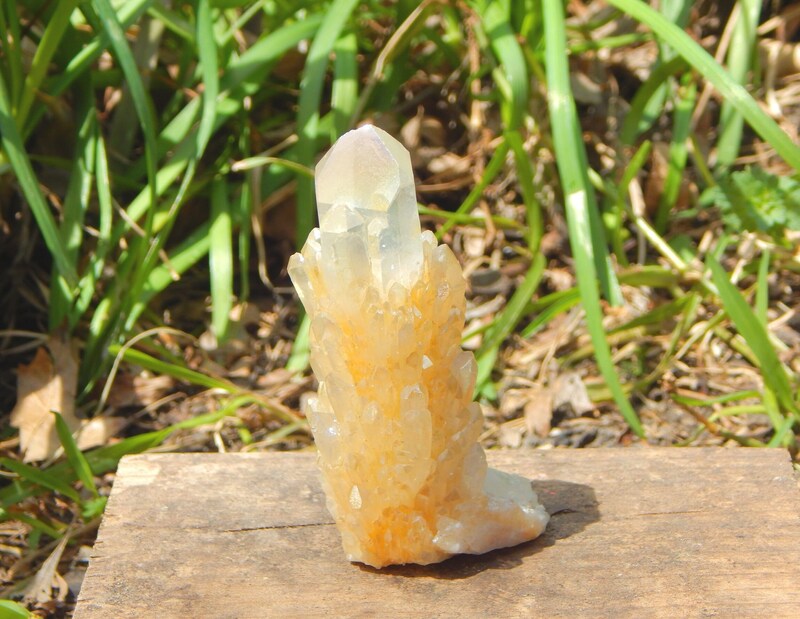 Its energy is powerful and extremely active, wonderful for stimulating and cleansing the Solar Plexus Chakra. It heals old hurts and traumas, and overcomes a sense of disappointment with life, or bitterness at the lack of opportunities. 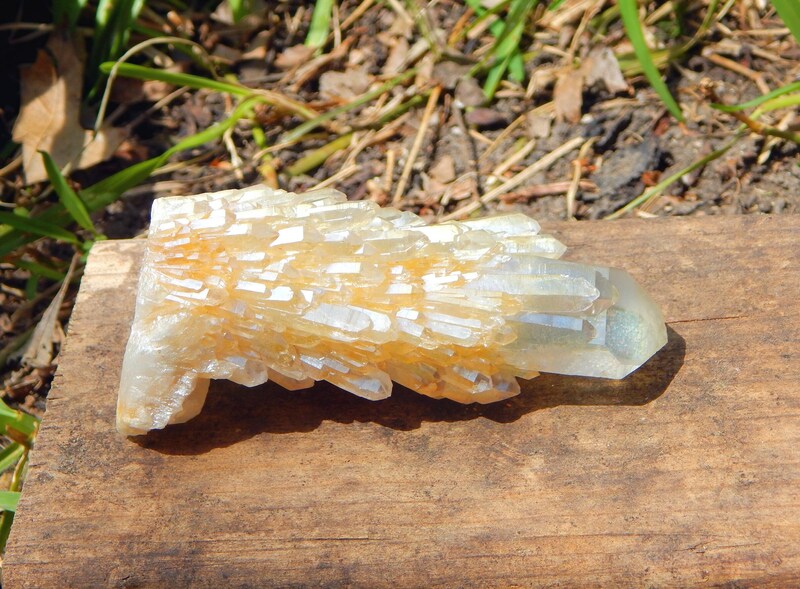 Placed in the center of any healing crystal layout, Sunshine Aura infuses the whole system with health and energy. At a spiritual level, it is expansive and protective, inspiring optimism, natural joy and spontaneity. It encourages laughter and releasing one’s inner child. Sunshine Aura is considered powerfully positive for removing toxins, relieving constipation and aiding digestive issues.